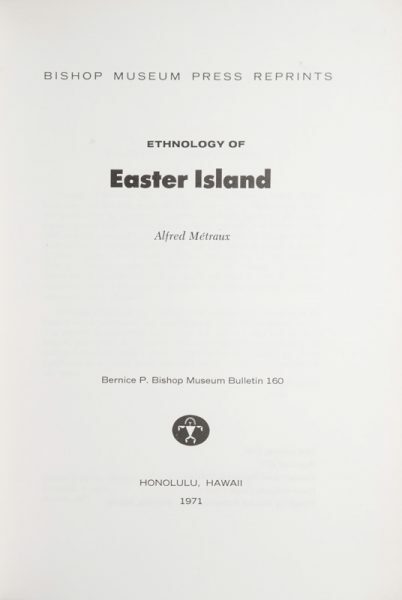 Bishop Museum Press reprint. Honolulu, Hawaii : Published by the Museum, 1971. Pictorial wrappers, 432 pp, illustrated with line drawings in the text and 7 pp of b/w photographic plates; a fine copy. 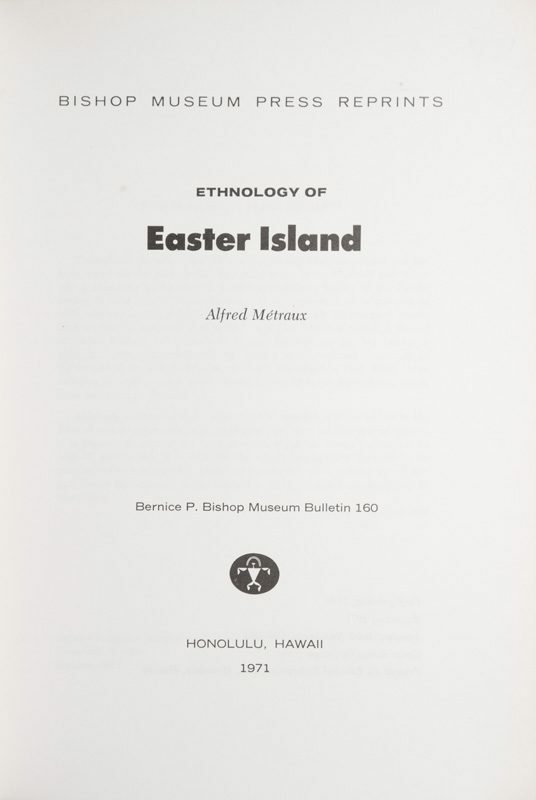 Reprint of the scarce first edition of 1940. 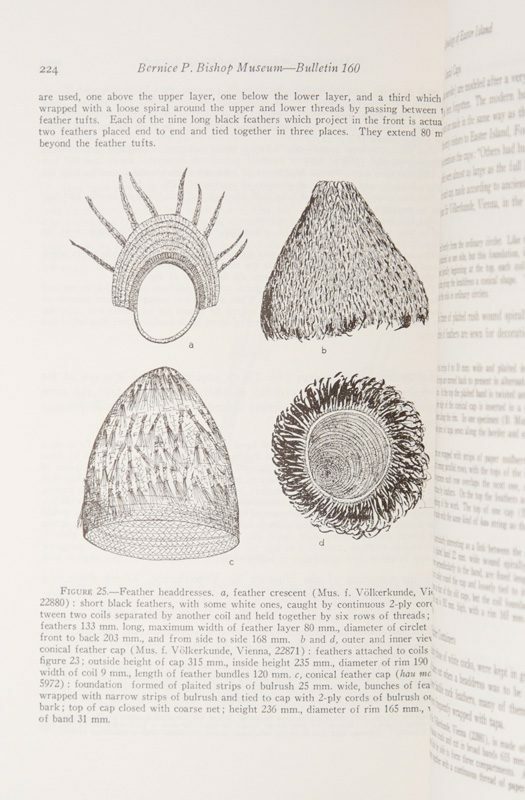 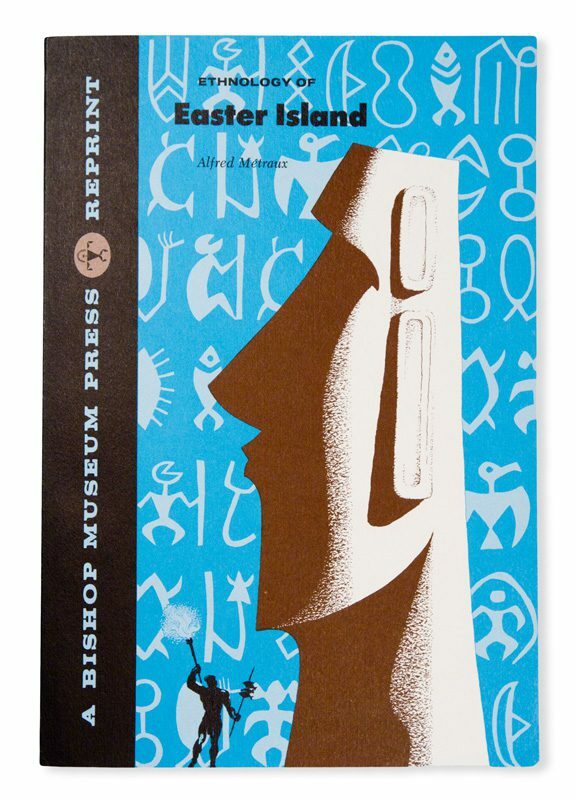 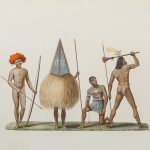 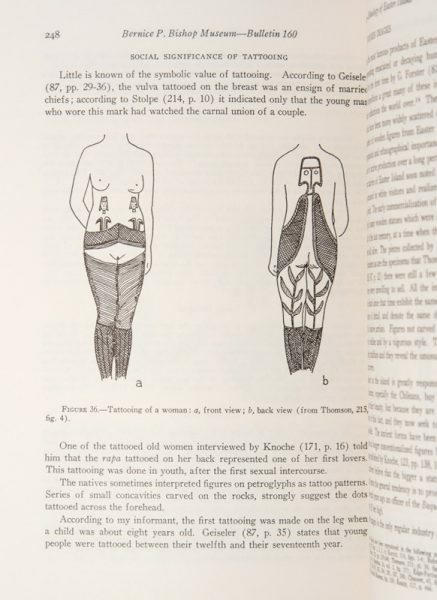 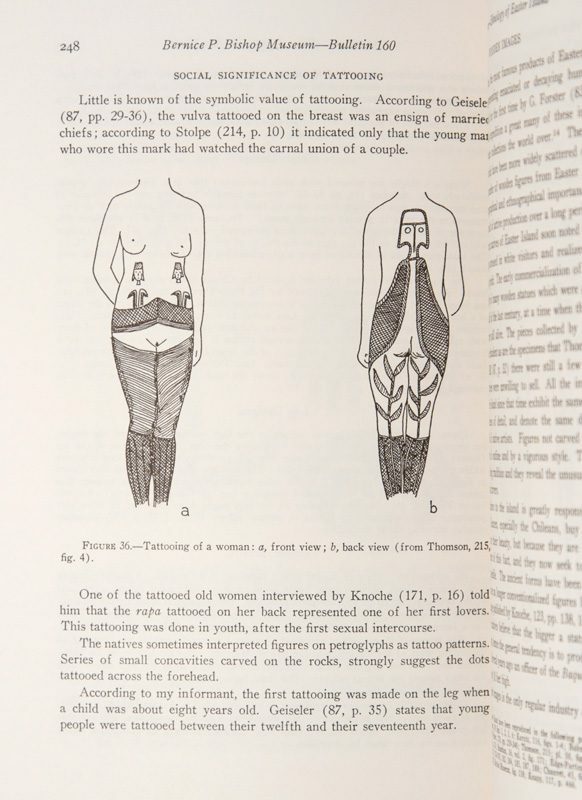 One of the most comprehensive and valuable studies ever published on Rapa Nui culture, significant for the highly detailed and well illustrated information it provides on subject material which other studies have tended to pass over, for example the manufacture and function of utilitarian objects such as fishing hooks, stone tools, woven mats and canoes, body painting and tattooing practices, and traditional games.